Under sunshine and blue skies, Cutter Loose is underway from Brunswick Landing Marina on Thursday at 10 AM. 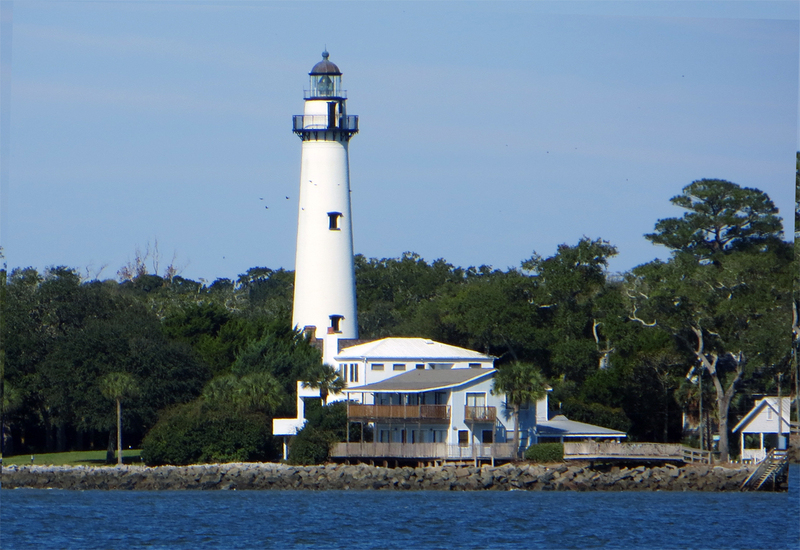 Riding the favorable ebb current, we are whisked under the Sidney Lanier Bridge, past St. Simon’s lighthouse and into the Atlantic Ocean. Winds today are less than 10 knots. Seas are less than two feet. 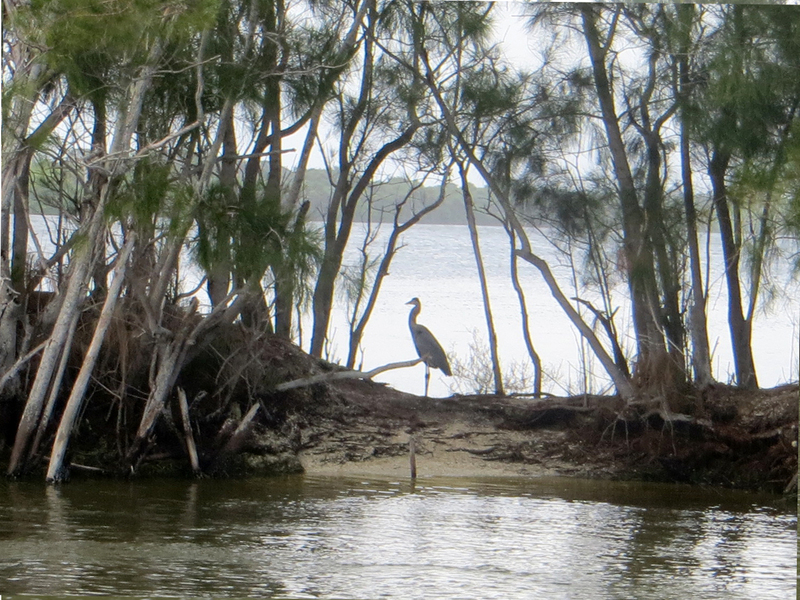 It is a perfect day for a coastal passage to St. Mary’s inlet, some twenty miles to the south. Today’s outside run is a refreshing stress-free alternative to transiting the ICW through shallow Jekyll Creek. Today, our course passes three miles offshore from Cumberland Island, with its magnificent white beaches visible to the west. In the distance, the industrial skyline of Fernandina Beach, FL is a mere dark spec on the southern horizon. 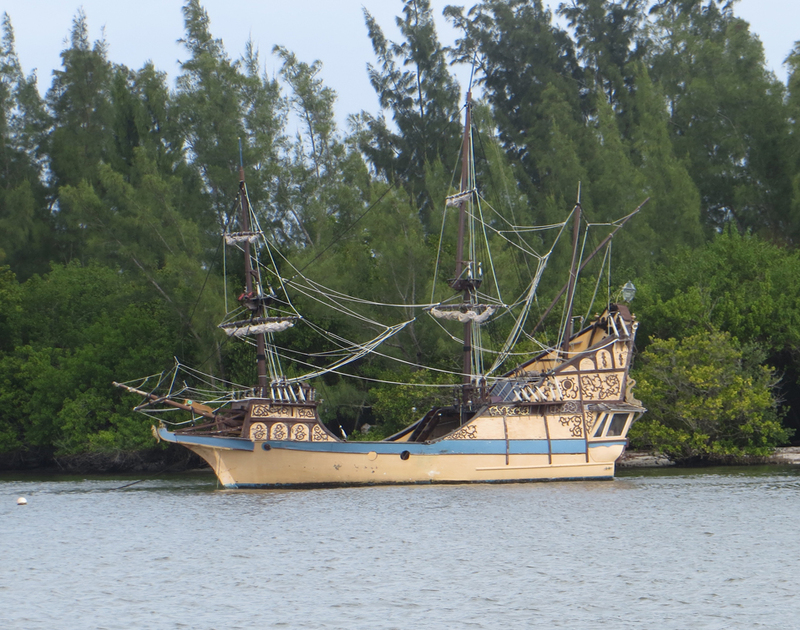 At 3 PM, Cutter Loose enters St. Mary’s inlet. This is a long, dredged channel that leads past Fort Clinch and into Cumberland Sound. From this juncture, the Amelia River flows south, across the Georgia/Florida border and into Fernandina Beach. With 45 nautical miles under the keel for the day, the anchor is down in the Amelia River at 4:30 PM. At sunset, Cutter Loose casts a silhouette on the Amelia River marshland. Instead of pausing to visit Fernandina Beach, the favorable weather and sea conditions compel us to depart our anchorage early on Friday morning. Our destination today is St. Augustine, about 70 miles to the south. Retracing yesterday’s track, Cutter Loose is outbound in St. Mary’s Channel at 7 AM. Once in the deeper water of the Atlantic Ocean, we make a gradual turn to the south and set the autopilot to steer to the St. Augustine sea buoy. Northwest winds in the 10 to 15 knot range fill the genoa and push us gently towards our destination. By mid-afternoon, the wind has subsided to 7 knots. Unlike the Class A inlets in Brunswick and St. Mary’s which are wide, deep-water, dredged channels, protected by jetties, the St. Augustine inlet is navigable only by smaller vessels. This channel meanders alongside sand bars and breakers on its way to the harbor. This afternoon at low tide, there are several spots with only 12 feet of depth. Because the channel is constantly shifting, the Coast Guard buoys are not charted. Rather, these aids to navigation are temporary buoys that are moved, as needed, to define the edges of the deeper water. In today’s benign weather conditions, the St. Augustine channel is easily navigated. However, only local boaters should attempt this channel in heavy weather. At 4:45 PM, the anchor is down in the San Sebastian River alongside the Castillo de San Marcos, just north of the Bridge of Lions. Under normal circumstances, it is preferable to rent one of the many City moorings in this harbor since the velocity of the current creates a notoriously unstable holding ground. Unfortunately, all of the mooring balls are occupied upon our arrival this afternoon. In light of the forecast for increasing winds tonight and during the next few days, it is unlikely that large numbers of boats will be departing their highly coveted mooring balls anytime soon. On Saturday, the wind is blowing 20 to 25 knots out of the NE. Cutter Loose is locked in the middle of a tug-of-war between wind and current. Anchored here in the San Sebastian River with the St. Augustine inlet about a mile away, the tidal current is fierce. When the wind is aligned with current, the boat rides nicely upwind and up-current with the anchor set in front of the bow. The battle for dominance ensues in earnest when wind is opposed to current. In today’s particular circumstance, Cutter Loose behaves erratically during the ebb when the bow points to prevailing current despite 15 to 20 knots of wind on her stern. In lighter wind conditions, the boat would simply drift down-current on her anchor, causing the chain to tighten snugly against the current. This is not the case today. Instead, the anchor chain leads longitudinally beneath the keel towards an anchor that is located somewhere behind the stern. The steady force of the wind on the stern is sufficient to prevent the boat from drifting down-current on her anchor. She lies neither downwind or down-current. Occasionally, a 25-knot-wind gust causes the bow to round up in the general direction of the prevailing wind. The current resists, saying “whoa there, not so fast…I’m in charge here”. During this temporary faceoff, Cutter Loose swings broadside to the wind, rolling in the chop of wind-against-current and swimming wildly in pirouettes around her anchor. Buddy boat Island Spirit is anchored nearby, performing a similar dance. The two boats are not well choreographed. Sometimes there are five or six boat lengths of space between the two vessels. At other times, there is only one boat length of space between us. Sometimes, the two vessels are positioned bow to bow. At other times, they are pointed stern to stern. There is no readily apparent reason for such opposite behavior given the similarity and proximity of the two vessels. On Saturday afternoon, there is even more excitement in the anchorage. An unattended vessel previously anchored off the green side of the channel is drifting gradually toward Cutter Loose off the red side of the channel. At present, it is lying mid-channel in the approach to the Bridge of Lions. This is a busy thoroughfare on the hour and half hour as southbound vessels position themselves for a bridge opening. The Harbormaster and his assistant arrive on the scene in their launch within minutes of receiving our report about the crewless, adrift boat. Wasting no time, the launch is tied alongside the dragging vessel while the Harbormaster jumps aboard. Using the boat’s manual windlass, he slowly raises the anchor and proceeds to maneuver the vessel towards the Bridge of Lions under the power of the launch. Presumably, the goal is to request a bridge opening and move the boat into the safety of the City Marina. Suddenly, the owners arrive on the scene by dinghy to find their boat being towed by the Harbormaster. One can only imagine the feeling of shock and despair when they discover that their boat is in a different location. The surprised owners climb aboard their boat, start the engine and proceed to re-anchor in another area of the harbor. Thanks to the prompt responsiveness of the Harbormasters, the story has a happy ending for everyone. It is also a lesson that anything can and does happen in these challenging conditions. Given the wind-versus-current battle being waged in the harbor, it is best to remain aboard and maintain an alert watch for the duration of the day. The wind gradually subsides overnight, bringing an end to the strange dance of Cutter Loose and Island Spirit. 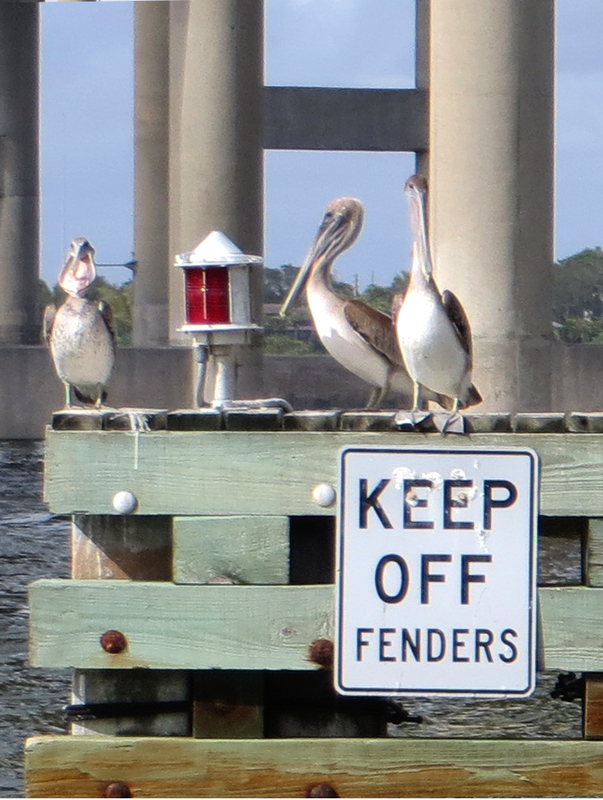 With improved weather, there is an exodus of snowbirds from St. Augustine on Sunday morning. The once-crowded mooring field now has several vacancies. The anchor is up for the 10 AM opening of the Bridge of Lions. Cutter Loose is secured to a City mooring ball by 11 AM. This is our opportunity to re-discover the historic district with cruising friends Hayden and Radeen. 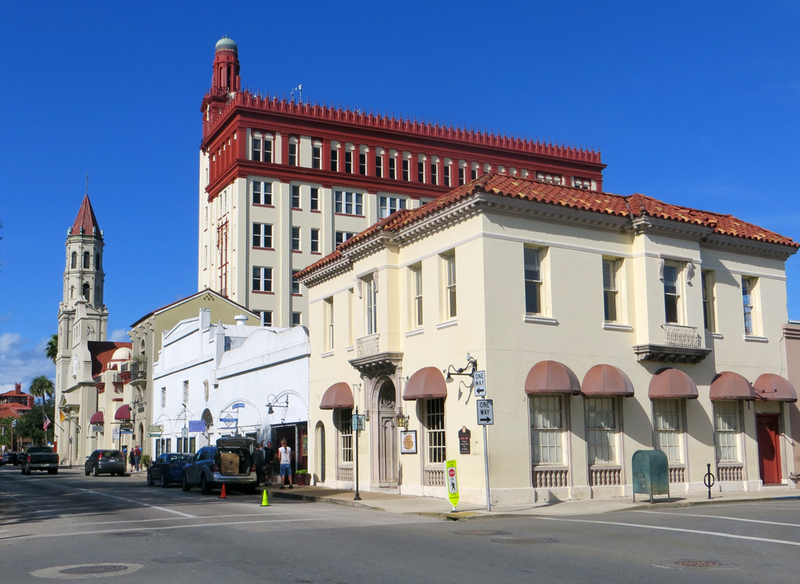 St. Augustine refers to itself as “America’s Oldest City”. 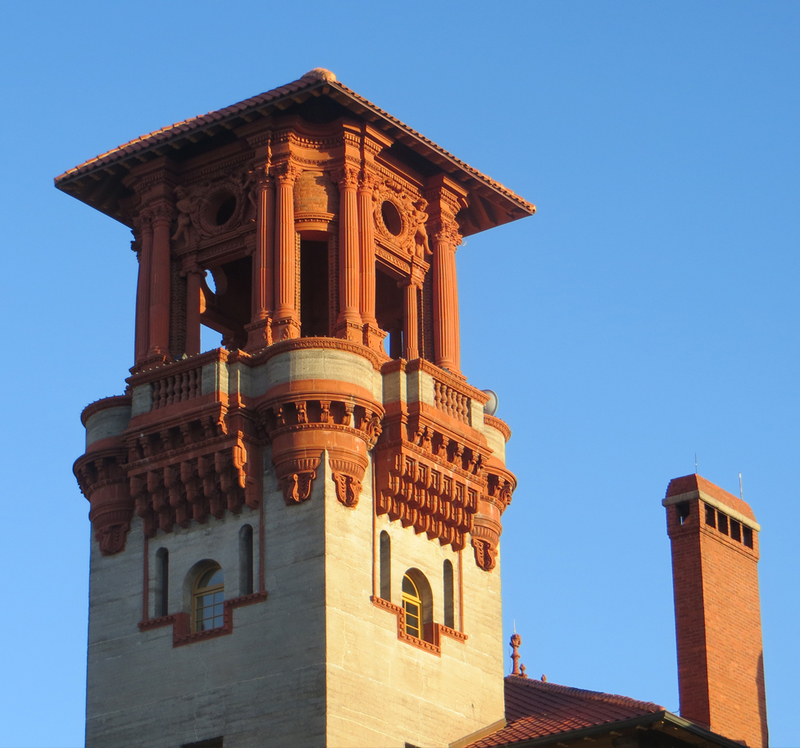 More specifically, St. Augustine is the oldest permanently occupied European settlement in the U.S. This terminology acknowledges the fact that the Timucuan Indians were here when the Spanish arrived in 1565. To place this date in historic perspective, the Pilgrims would land at Plymouth Rock some fifty five years later. 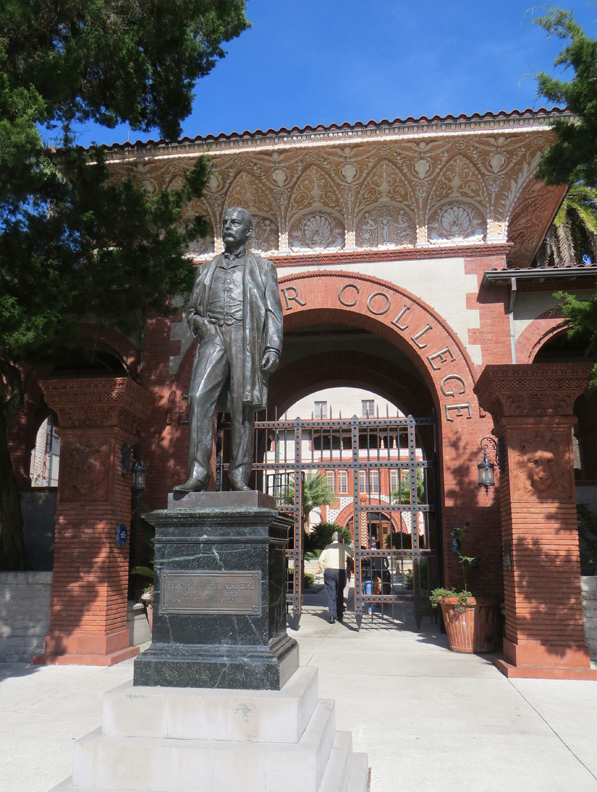 Oil baron Henry Flagler arrived here in the late 1880s. He built two hotels and acquired a third. 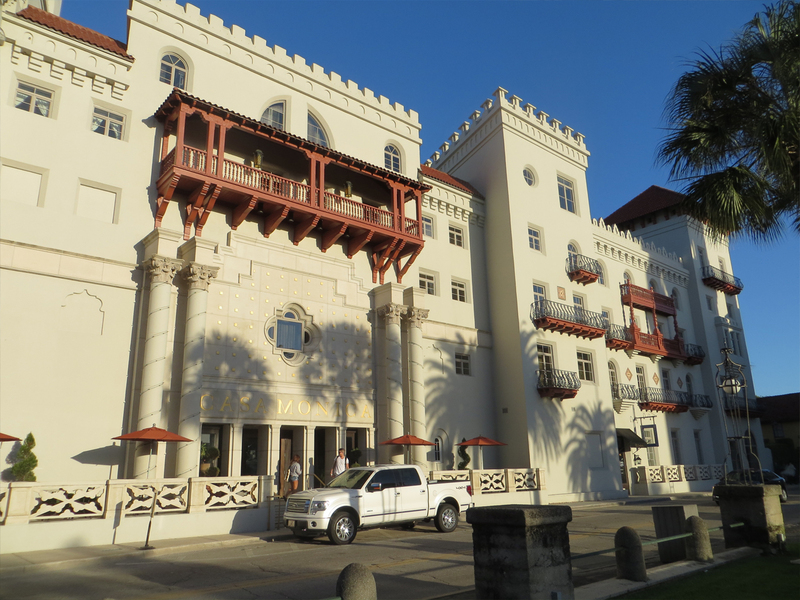 Then he built the Florida East Coast Railway as a means to transport guests from St. Augustine to his other resort hotels in Palm Beach and Miami. 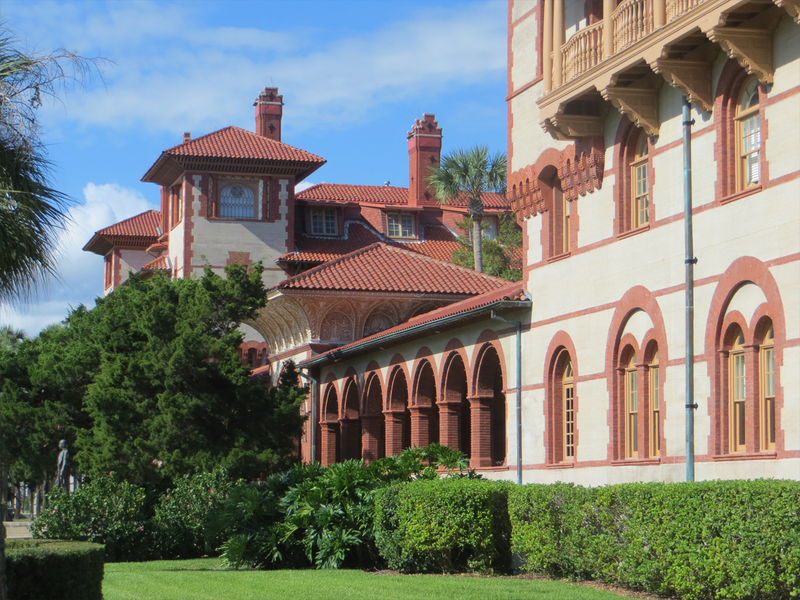 Today, Flagler’s impressive hotels are an important part of the Flagler College campus. Monday is a day for exploring alternative storage yards for Cutter Loose during the summer/fall of 2016. 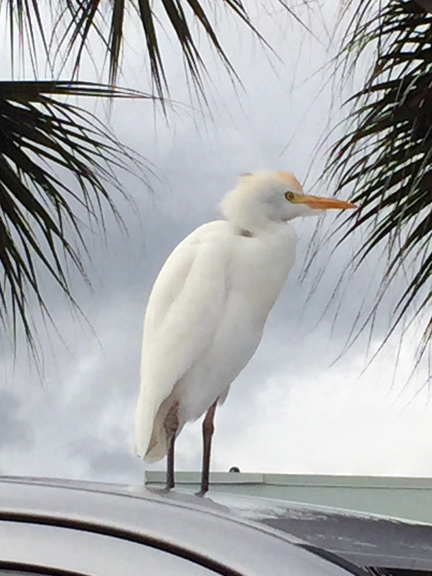 Our travels via rental car take us north to Green Cove Springs to visit two marinas. Neither facility is inspiring in terms of potential storage locations. 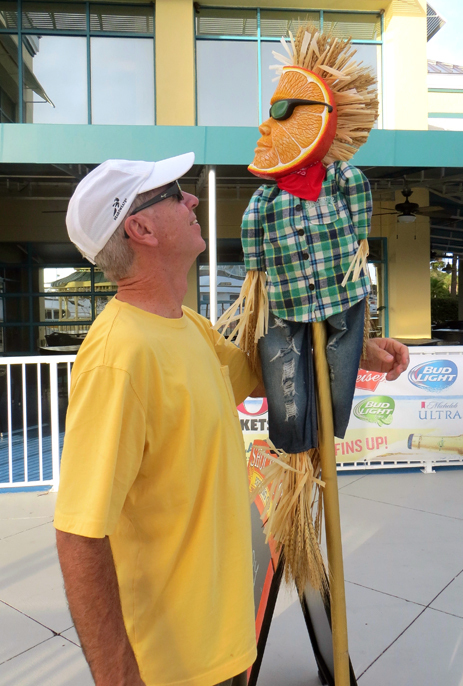 However, it is interesting to visit these marinas for pure entertainment value. On Tuesday, the anchor is up at 7 AM for today’s 57-nautical mile journey along the ICW to Daytona Beach. 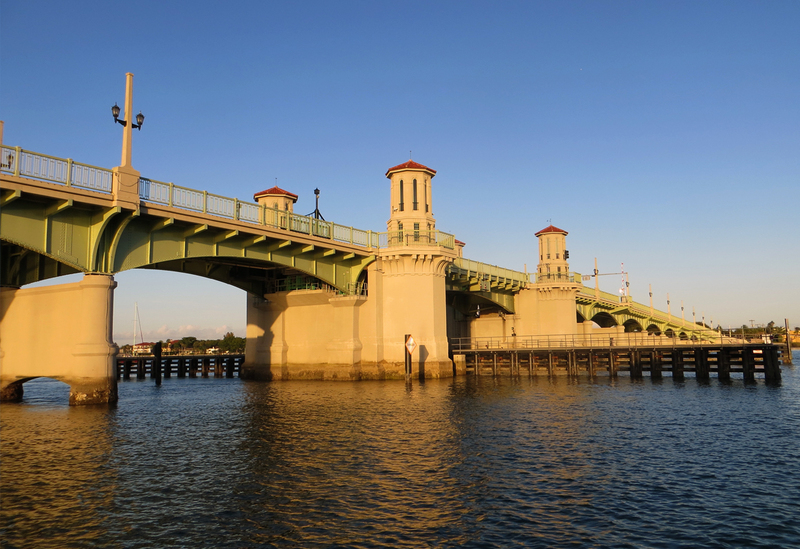 Our course takes us past Matanzas Inlet, Palm Coast and Flagler Beach and into the Halifax River. By mid-afternoon, Ormond Beach is astern. Single family waterfront homes gradually give way to high- rise condo buildings upon entering Daytona Beach. At 3:15 PM, the anchor is down just to the south of Memorial Bridge. The business district is a short dinghy ride from the anchorage. A 60-minute walk through town provides an opportunity to stretch our legs and explore the retail district before settling in for the evening. The sky is overcast at 7 AM on Wednesday as the clanking of the anchor chain against the bow roller alerts the anchorage to our impending departure. For the initial two hours of today’s journey, the narrow confines of the Halifax River provide protection from the full force of gusty southeast winds. At New Smyrna, the ICW enters the broad open waters of Mosquito Lagoon. There are no pesky mosquitos today thanks to 20 – 25 knots of wind on the bow. Adverse wind and current slow our progress to less than six knots, showering the deck with salt water in the process. Once through the narrow, dredged channel at Haulover Cut, the Indian River takes us past Titusville to the NASA Causeway Bridge. Rather than requesting an opening and pressing on to Cocoa Beach, the decision is reached to drop the hook at 3:45 PM with 55 nautical miles under the keel for the day. The elevated causeway provides a comfortable lee from the brisk southeast wind. From here, NASA’s 55 story Vehicle Assembly Building looms large on the eastern horizon. This is the catbird seat from which to witness a missile launch from the Kennedy Space Center. Tonight, it is a quiet layover before moving south to Vero Beach in the morning. The alarm sounds at 0530 on Thursday and the anchor is up in complete darkness at 0600. The NASA Causeway Bridge is a short distance from our anchorage, but already the bridge operator is barking detailed instructions on the VHF radio. At 0615, the three southbound vessels awaiting the opening are directed to form a queue. We are anxious to comply with the bridge tender’s wishes. If we miss this 0625 opening, the next opening is not until 0830. The bridge operator explains that only one side of the south bascule bridge will open this morning. This makes for a narrow squeeze under the best of circumstances, let alone at nautical twilight with the sun still well below the horizon. Causeway traffic comes to a stop as the bridge begins to open at 0620. 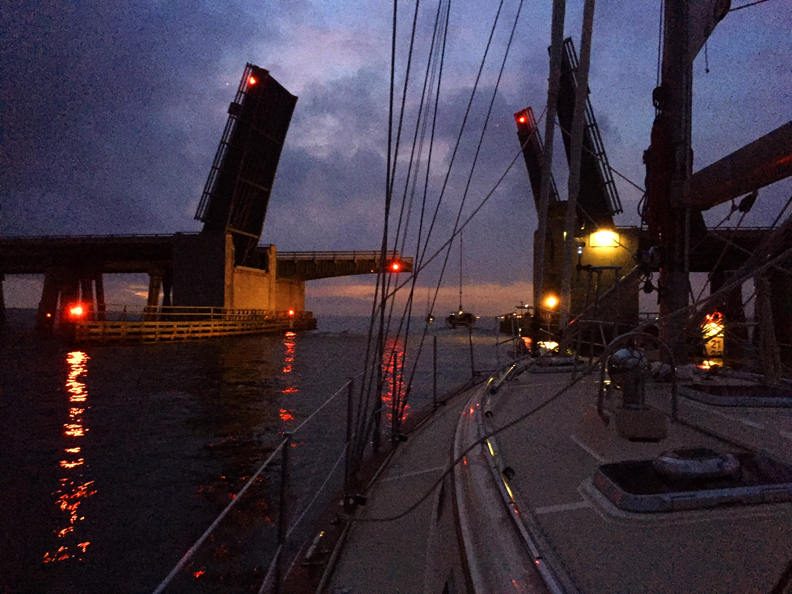 A faint outline of the raised bridge deck is barely visible as we proceed through the narrow opening before dawn. Today’s early start taken together with favorable tidal current ensures a mid-afternoon arrival at Vero Beach Municipal Marina, some 65 nautical miles to the south. South of the Wabasso Bridge, Cutter Loose and Island Spirit are greeted by friends Carey and Julie who ignite firecrackers from the outer dock of the Sea Oaks marina. 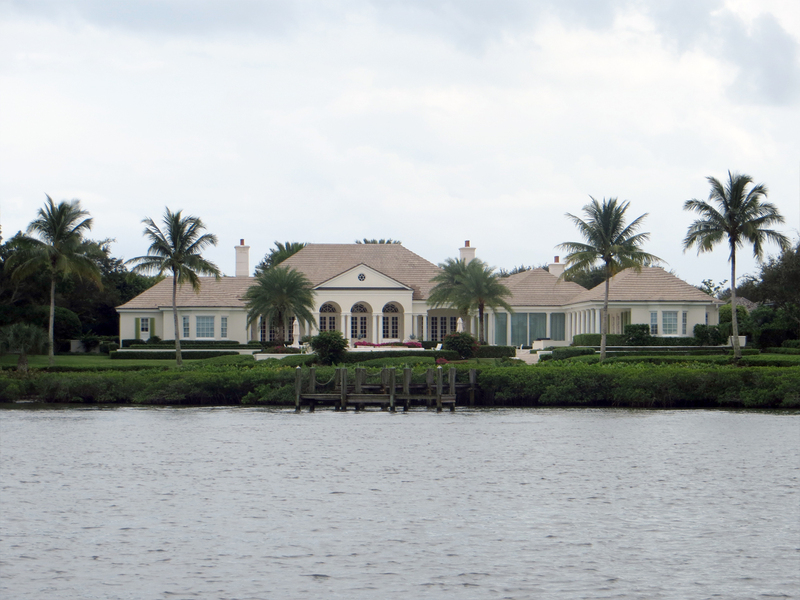 The eastern side of the ICW channel is lined with perfectly manicured, waterfront homes. 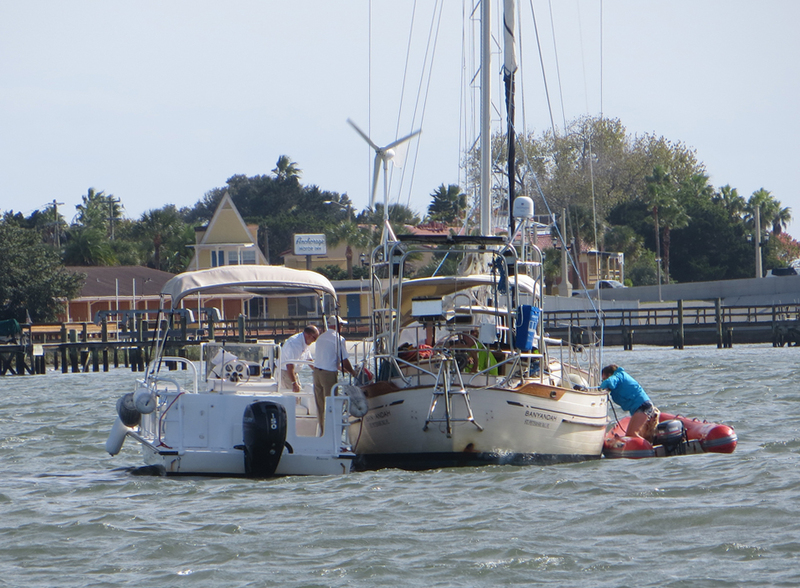 At 4 PM, Cutter Loose is tied to a mooring at the Vero Beach Municipal Marina. 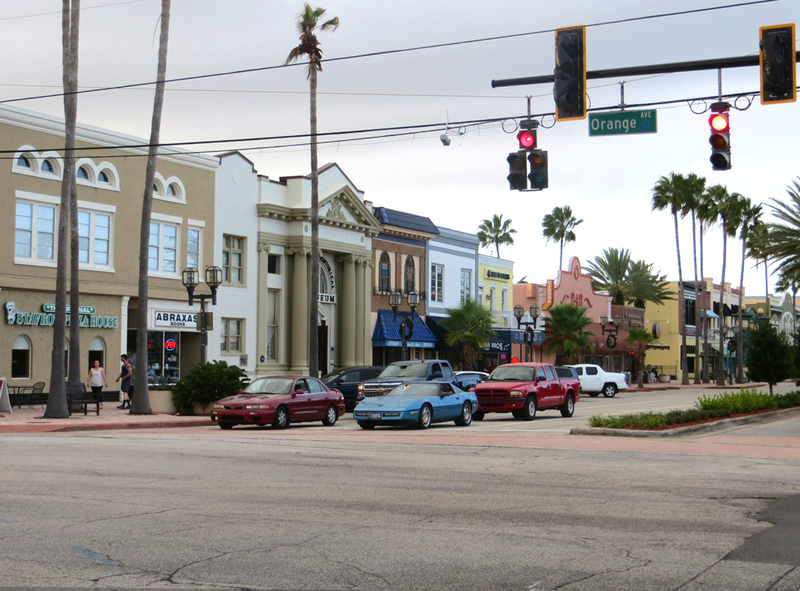 Vero Beach is an exceptionally welcoming and friendly town that receives high marks from experienced cruisers. At this time of year, the marina is packed with cruising boats, many of which have familiar names and hail ports. Some boaters choose Vero as their final destination for the winter while many others will continue further south to the Florida Keys and the Bahamas. We will pause here for a week to enjoy the delights of this community and the company of close cruising friends.